With rates that are considerably lower than most Waterfront hotels—as low as $119 in the off season—this hotel with an understated charm is a great value. 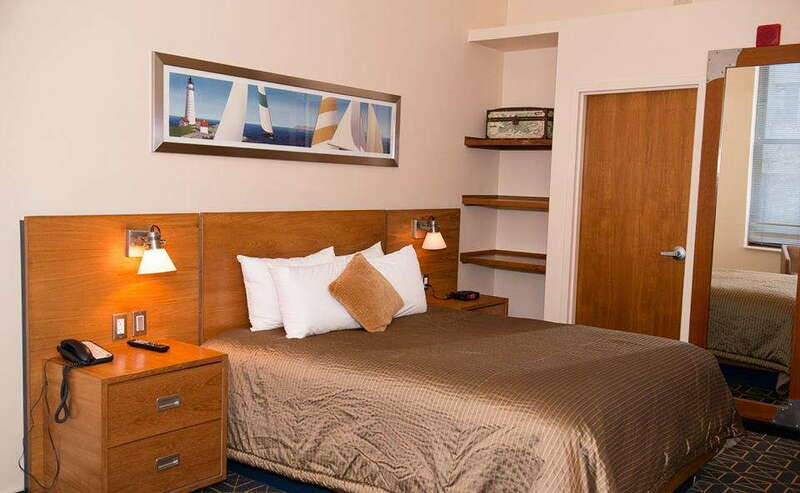 Unlike its Back Bay sister property The Charlesmark, the Harborside is anchored throughout by a modern maritime theme that includes a generous use of teak and classic maps of the Boston waterfront, making you feel like you're aboard a cruise ship. Faneuil Hall, Quincy Market, and the North End are all short walks away. YOU SHOULD KNOW The area can get a bit rowdy with bar-hoppers come nighttime. Many of the snug rooms have windows overlooking an interior atrium, which extends eight stories up to the roof. Furnished in grays and browns, some rooms and common spaces have exposed brick. 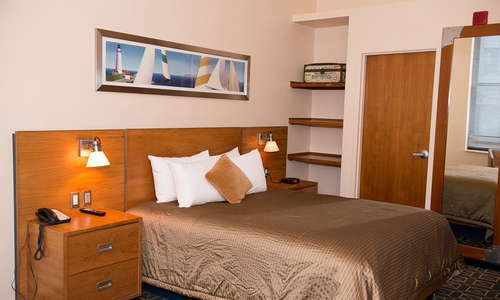 Amenities include flat-screen TVs, surround-sound stereo, DVD/CD players, and a movie library. 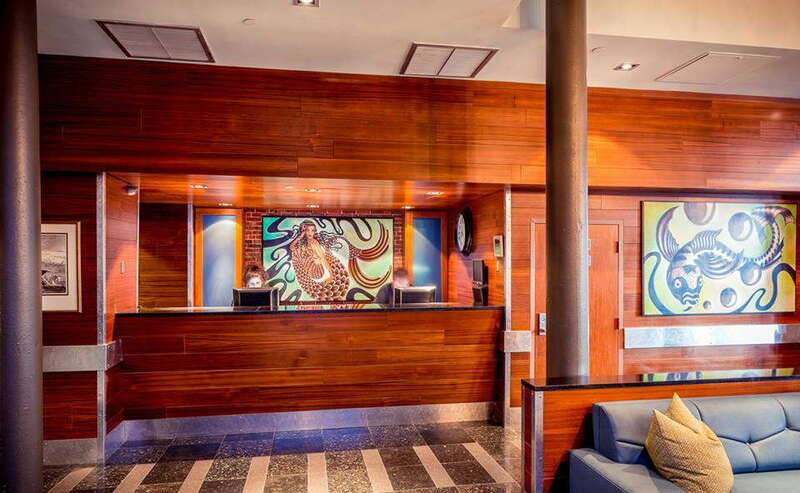 For a great view, request a room overlooking the city; for a quieter stay, book a room that faces the interior atrium. However, keep in mind that atrium views aren't that scenic. The bathrooms feature glass door showers with imported Italian ceramic tiles, custom built vanities with Porcher sinks, and brushed silver sconce light fixtures. There's a wall-mounted hair dryer, as well as the necessary amenities like soap, shampoo, mouthwash and body lotion. You may think you're sailing the high seas with the nautical theme that carries throughout the Harborside. The teak-filled lobby features lots of mirrors and bright blue furniture, where guests can take a seat and relax. There are also free guest computers and printers if you'd like to print your boarding pass, or send some emails. There is no gym on-site, but guests receive a discounted rate of $15 at the Beacon Hill Athletic Club, which is about a 5-minute walk. 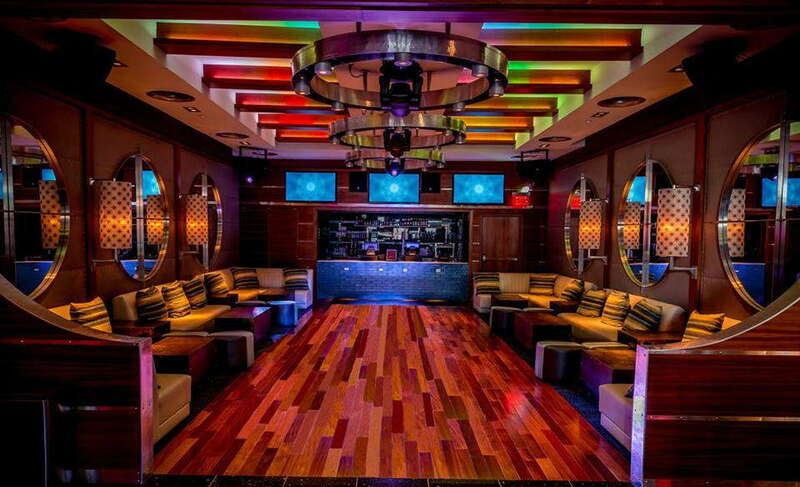 Guests can head to the Harborside Lounge, where dinner comes from Central Wharf Co., a neighboring restaurant. 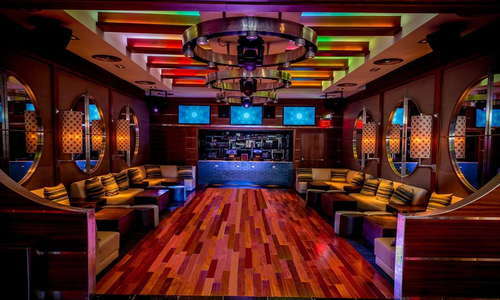 The Harborside Lounge is the hotel's bar, which draws a mix of tourists and area young professionals looking to knock back drinks. 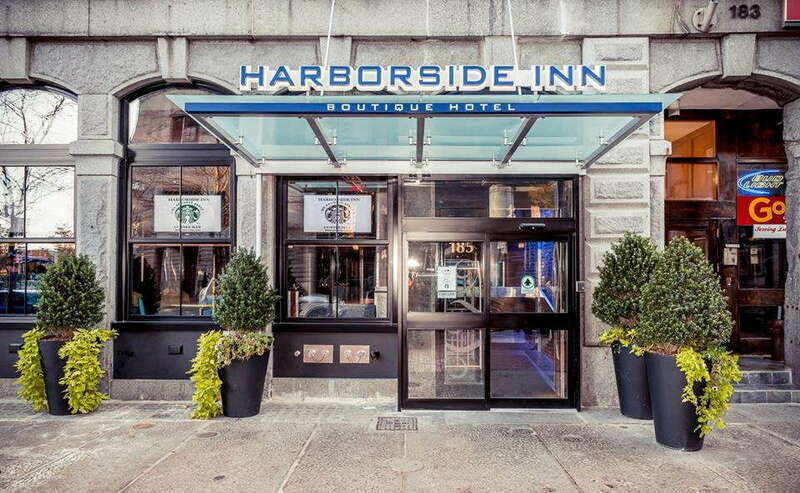 The downtown location of the Harborside Inn allows guests to be within walking distance of many of the cities biggest attractions. The closest MBTA stop is Aquarium on the Blue Line, but State Station on the Orange and Blue Lines is just a 4-minute walk away. Government Center, where the Green Line meets the Blue Line, is only a 10-minute walk. For a delicious meal with lots of seafood involved, head to State Street Provisions (2-minute walk). (They also serve a delicious brunch.) 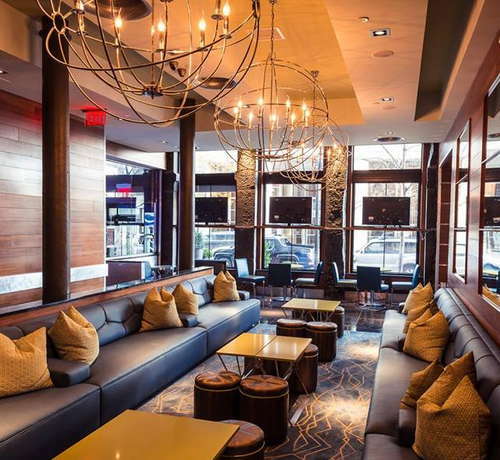 Head out of the Faneuil area toward the waterfront to hit Nebo Cucina & Enoteca (10-minute walk) a delicious Italian restaurant with a lovely outdoor patio. Since the Harborside Inn is right on the edge of Faneuil Hall, it's on the cusp of one of the city's biggest (and sometimes noisiest) bar scenes. The Black Rose (1-minute walk) is a famed Irish pub, while Hong Kong (1-minute walk) and Sissy K's (1-minute walk) are equally as popular (but tend to get a little frat party-ish). If you're looking to avoid the college crowd, Bostonia Public House (4-minute walk) is a nice option. If you're looking to hit the big attractions like New England Aquarium and Faneuil Hall, the Harborside Lounge is a good deal.